This course will introduce you to the most important resource available to engineers and architects engaged in the design of buildings and related infrastructure. It represents the collective knowledge of thousands of engineers and architects acquired over the past century. It will provide you with design guidance based on building and space types, design disciplines and objectives, and products and systems. It will provide you project management resources focused on project delivery teams, project planning and development, building commissioning, and project delivery and controls. You will have a single, easy-to-access source for operations and maintenance guidance, and exceptionally useful reference materials and tools. 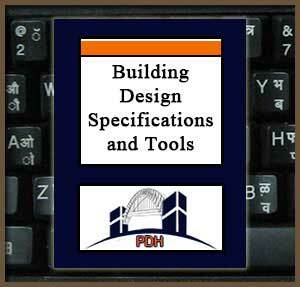 You will be introduced to the most comprehensive and definitive set of guide specifications available to the profession for the design of buildings and related infrastructure and to the tools available to you to utilize them on your next project. This is hands-on information that is easy to access and use that has been proven over-and-over on thousands of projects from small and routine to enormous and unique. You will learn how to quickly access and navigate this resource and put it to work for you on your next project. And….it is free! To learn about the most comprehensive, hands-on, knowledge base and collection of tools available anywhere for engineers and architects who design buildings and related infrastructure. Learn how to use these tools in your personal day-to-day design work, or implement it as your company’s or agency’s standard of practice. Civil engineers, structural engineers, mechanical engineers, electrical engineers and architects engaged in the design and management of construction of buildings and related infrastructure for private enterprises and public agencies will find this to be a very useful and valuable course that will introduce them to tools they can immediately put to use on day-to-day design projects. Learn how the collective knowledge and experience of thousands upon thousands of engineers and architects….collected over many, many decades….is organized and made accessible to engineers and architects who design and manage the construction of buildings and related infrastructure. Learn how to easily and quickly access design guidelines for all types of buildings and building spaces. Learn how to quickly get proven, hands-on guidance on issues related to planning and development, construction delivery processes, building commissioning, and operation and maintenance. Learn how to access an extensive collection of no-cost engineering and architectural design and project management tools. Learn about this extensive collection of proven, hands-on tools for preparation of engineering and architectural drawings and specifications….all accessible at no cost. Learn how to use this valuable resource in your day-to-day work, and how it can be implemented by your company or agency as its standard of practice. The most experienced building design and construction enterprise in history is the federal government of the United States. It has successfully designed and constructed many trillions of dollars of buildings and related infrastructure over many decades. In the process its engineers and architects have developed and organized a body of experiential knowledge that is unprecedented. This is a professional resource that is extraordinary in its breadth and detail and is immediately useful in design and construction of private facilities as well as facilities for public agencies at the local and state, as well as federal, levels. Advances in information technology have now made this resource available to all professionals in the industry….at no cost. This course will introduce you to this resource and will guide you quickly to its most valuable components, so that you can begin to benefit from them on your next project. This course will introduce you to a knowledge base consisting of design guidance, specifications and tools that is unprecedented in its integrity, breadth and detail. The resources you will learn about can be immediately put to use on your next building or infrastructure design project.